SLCC Women’s Basketball head coach Betsy Specketer has high hopes for this year’s team. The Bruins have added several talented freshmen this year, including new point guard Mercedes Riggs. 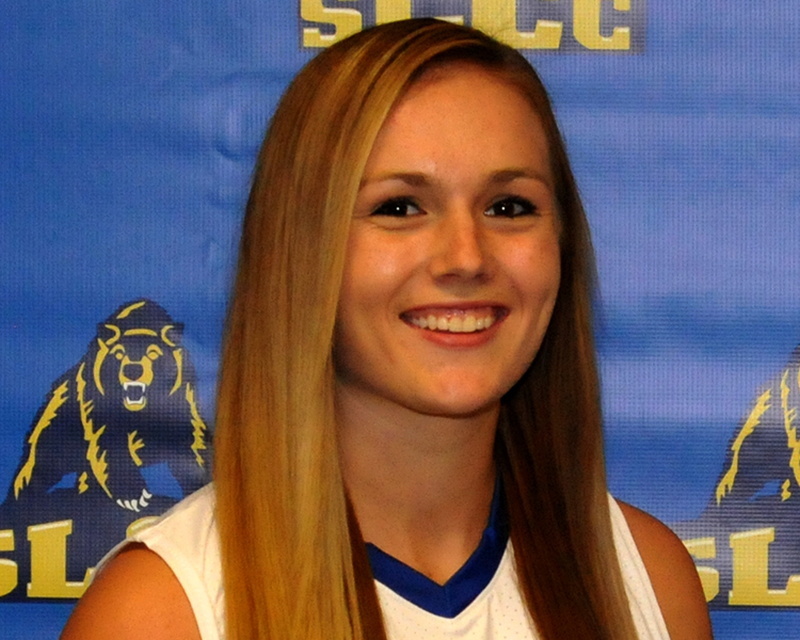 Riggs joined the 2012-13 SLCC team as one of nine newly-recruited freshmen. She comes from Timpanogos High School’s state championship team, and was named the 2012 Valley Player of the Year. Having seen the type of talent an experienced Riggs brings to the group, coach Specketer is all smiles. Growing up, Riggs played basketball with her mother and four sisters. This helped her establish a sense of motivation, leadership and discipline. Even as the youngest of her siblings, she proved to be the most competitive. In addition to basketball, Riggs began taking Taekwondo in fifth grade. She earned her first-degree black belt as a freshman in high school. At that time, she already had six years of experience under her belt. She first discovered her talent in martial arts while attending a class with a friend. She soon decided that it was what she wanted to do as a hobby. Much is involved in the process of earning your black belt, and Riggs knew coming in that it wasn’t going to be easy. It took her two years, with intense training, such as fighting in the rings (known as “sparring”) and meditation in order to achieve the black belt. Even though the meditation sessions were only an hour long, Riggs found it difficult to sit still. Family is important to Riggs. Ultimately, her decision to choose basketball over taekwondo was largely impacted by her parents and sisters. Although she is no longer taking part in martial arts, the attitude she had while in the ring seems to have carried over to the basketball court. It helped her mental toughness, the desire to push and go farther. She has that mindset. Currently undecided with her major, she has expressed interest in sports psychology. She also enjoys public speaking and taking on a leadership role. Riggs believes that establishing a mindset of discipline is the best way to succeed academically at SLCC.